SoFi isn't like other fish, but they don't seem to notice. 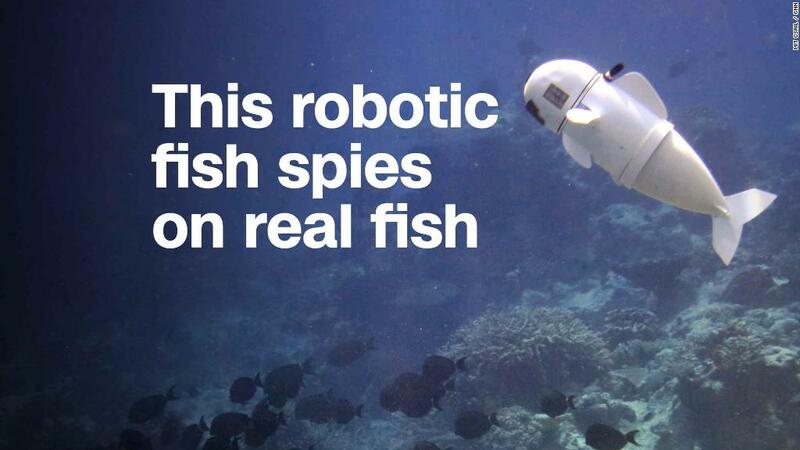 Pale and plump with a tail that swishes side-to-side, the one-eyed robotic fish was built by scientists at MIT's Computer Science and Artificial Intelligence Laboratory (CSAIL). "With an instrument that does not impact the marine life, that is not scary or foreign to marine life, who knows what kind of magical and miraculous moments we can capture?" said Daniela Rus, director of CSAIL, who worked on the project. "[It] will give us a better understanding of underwater phenomena." The researchers have taken the 18-inch-long faux fish for test swims in Fiji's Rainbow Reef, where it swam for up to 40 minutes in 50 feet of water. A diver directed the robot's movements from up to 32 feet away using a waterproofed Super Nintendo controller. So far, SoFi doesn't appear to disturb the movements of other fish. According to Rus, it moves with a "grace, agility and independence" -- not what you'd expect from a swimming robot. The outside of the robot is a combination of soft silicone rubber, flexible plastic and 3D-printed pieces. It uses a custom sound-based communication system developed by the team to receive movement instructions. The quiet motor-powered tail lets it mimic the quick-changing swimming patterns and movements of real fish. 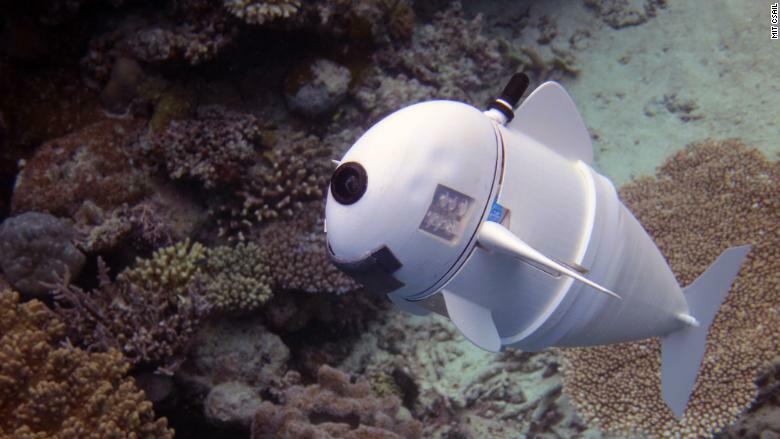 In addition, it touts sensors to help it avoid hitting or damaging marine environments like delicate reefs. The CSAIL department has been working on underwater image and recording systems for more than seven years, but this is the first project that attempts to mimic the appearance and movements of fish so realistically.